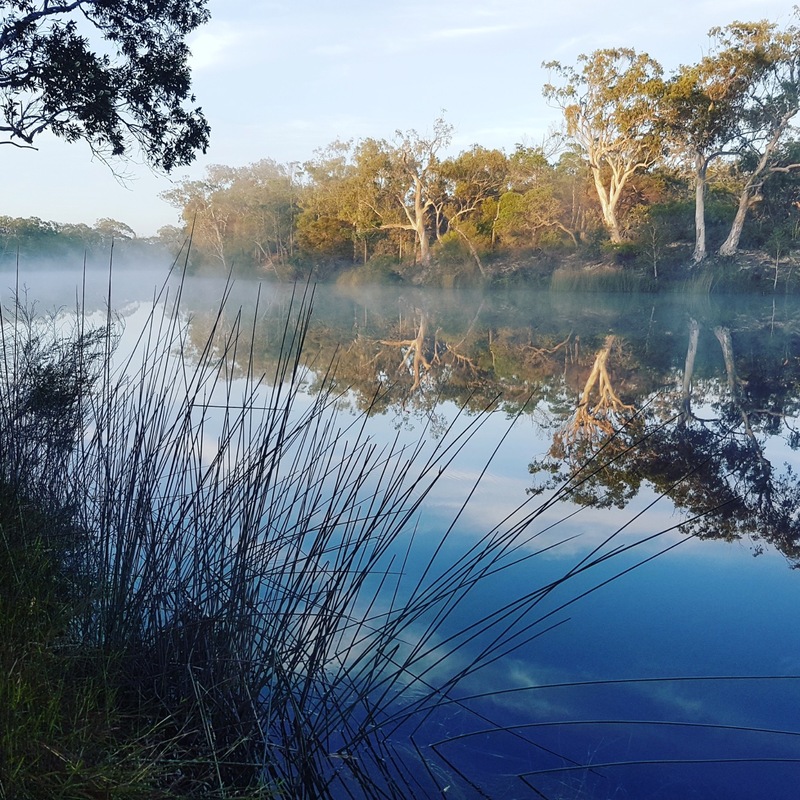 Tom Anthoney, our Practice Principal, has just returned from a 5-day hike in sunny Queensland. 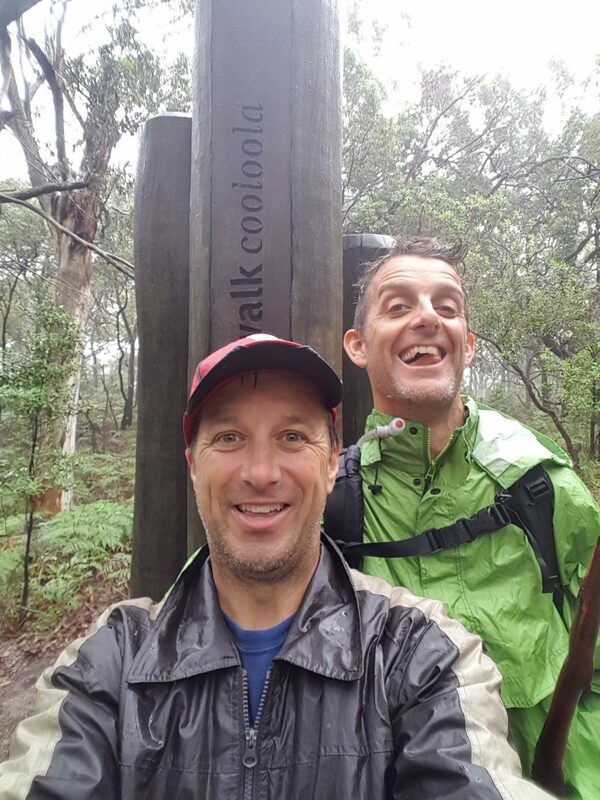 Hiking from Noosa, 95kms to Rainbow Beach. He carried a pack weighing in at 20kg, which included all his food, tent, cooking gear and First Aid Kit. So, what’s the best way to prepare for such a walk? Tom suggests buying or borrowing the best boots and pack you can afford. A well fitted pack, that transfers the weight through your hips/waist is most important. Taking the time to adjust the pack, before you set off, so that is sits high on your shoulders is crucial. And the best trip (passed down by other hikers) is to bend forward at the hips before adjusting the hip straps. Bounce/hitch the pack up high on your back before tightening the hip straps. When you return to upright the pack almost ‘floats’ on the shoulders. And well fitting boots means good support, no friction of rubbing. 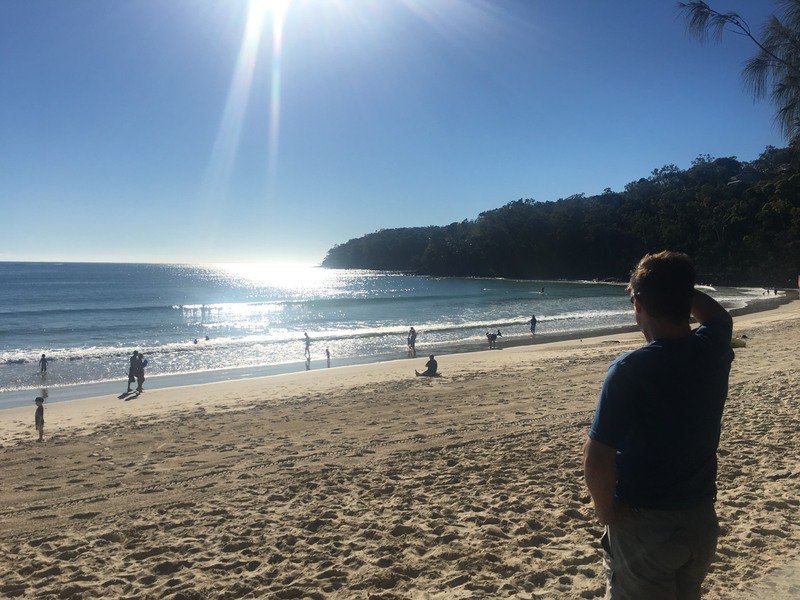 The walk, known as the “Coolaloo Great Walk” starts on the beach just north of Noosa and gradually winds its way inland. 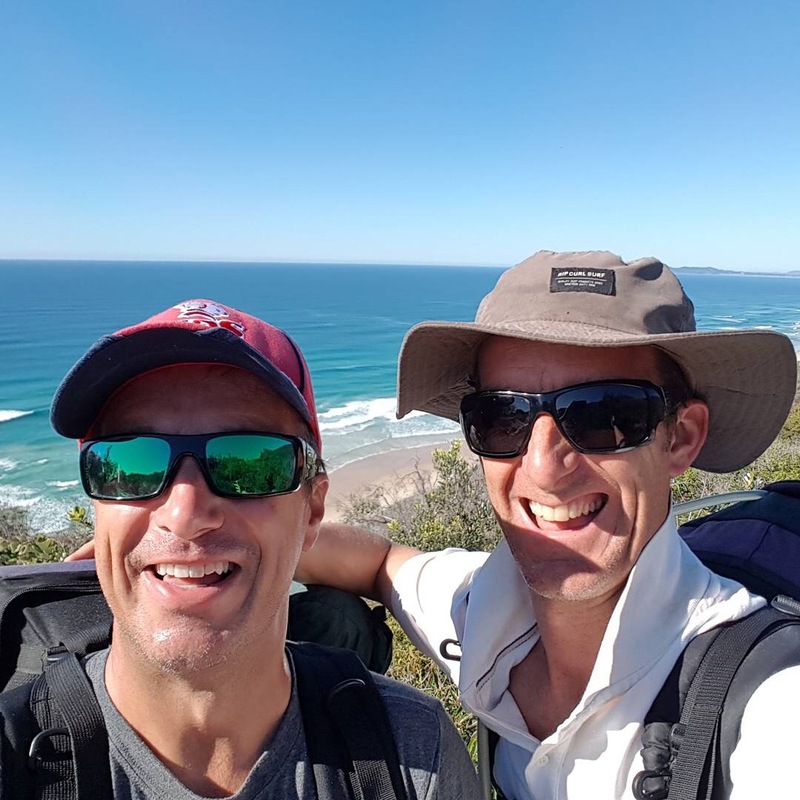 Tom and his old mate Greg accidentally added a few kilometres to the walk by following the beach for a little longer than supposed to (the surf was amazing – had to be seen). After re-finding the track, they arrived at Camp One just before sundown. (NB. There are four designated campsites on the track – roughly 20 km apart). All food on the trail tastes “amazing” and the hungry hikers were glad to successfully road test the gas cooker and cook up the heaviest food first – pasta and Neapolitan sauce. Day Two started with the devastating realisation that they (read Tom) had left the teabags back in the car. So coffee and muesli was the go! 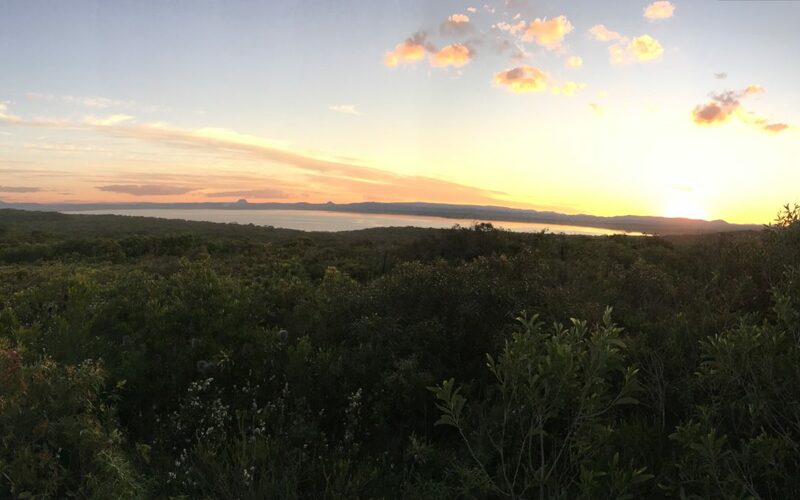 Then 20kms of gradual climbs to stunning views before climbing back down to camp by the Noosa River. Day Three started with a dip in the dark waters of the Noosa River. They dragged themselves out to strap the packs back on and head back up again through the blackbutt forest into more rainforest. It’s amazing how much terrain can be covered just trudging along talking about football, comparing the great teams of bygone years. Day Four was 90% rainforest walking. Many sectors of the track had been blocked by fallen trees during Cyclone Debbie. Fortunately, the Queensland Parks Ranger’s had been busy clearing these and only the occasional climb was required. Arriving at camp on night four, we were greeted with a note from fellow hikers who had gone ahead of us and two teabags. These were savoured like a fine wine – for the gesture as much as the flavour. Day Five was all about the weather. 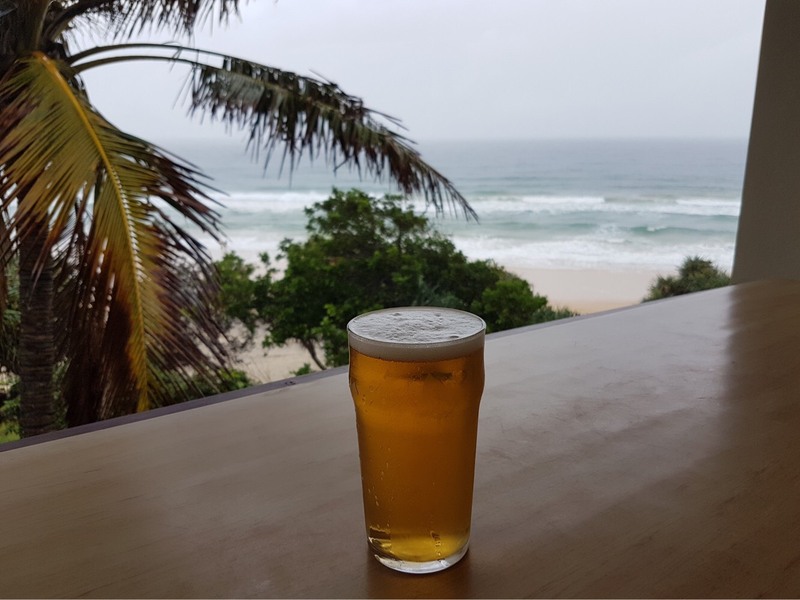 Rain, rain and more rain ….40ml in all as we completed our hike into Rainbow Beach. We were so wet, we decided that we could not get any wetter. Boots full of water, meant every step felt like a foot spa …. Bubbles caressing our tired feet! We reached the “end” of our walk and celebrated with a tired and drenched photo. All that was left was to stroll the 2kms into town fuelled by the thought of a nice hot shower and a cheeky beer or two.